I would like to request implementation of uploading images to questions/answers from the Stack Exchange Android app, especially now as it would definitely help uploading screenshots for reporting bugs and feature requests. This is implemented as of the newest beta release (1.0.52), if you're on the beta list check it out and let us know what you think, if you're not join and help us test it!. Not the answer you're looking for? 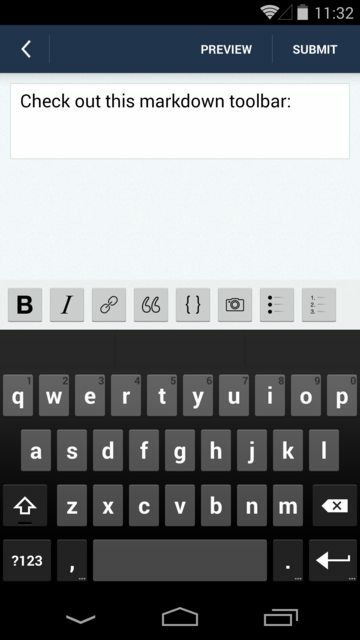 Browse other questions tagged feature-request status-completed android-app images . What niche is the mobile app meant to fill? Add link for image upload on mobile devices?